In the last few years, we have seen extraordinary changes in the mobile industry. A massive increase of mobile devices has created a lot of confusion regarding selection of model. The elegant brands Nokia and Apple have seen a monumental growth in the development of their mobiles. Both are doing exceptionally well in the area of mobile phones and one can find very high quality features equipped in their phones. 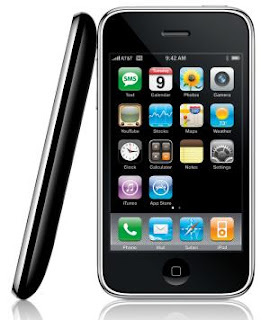 The Nokia N96 and Apple iPhone 3G are handsets are famous all over the world. It is very hard to tell which one is better than other but we can find features at which one model take edge from the other. From the following discussion you can find the areas that differentiate them. The amazing imaging features of Apple iphone includes 2MP digital camera and the photo setting and photo editor features come with this handset in order to increase the quality of the captured images. This camera phone has a video player that supports H264, MPEG4 and AAC formats. The photos can be rotated and zoomed using the touchscreen.On the other hand, Nokia N96 has an astounding 5 MP camera with Carl Zeiss Optics Tessa lens. The camera setting feature of this mobile include flash, self timer, colour and other features. Its video recorder supports MPEG4 and video stabiliser allows high quality capturing of the moving images. The messaging features of iPhone are not very satisfactory, as it includes only SMS, email and push email features. On the contrary, you will find various great messaging features in Nokia N96 like SMS, MMS, email, email with attachments, picture messaging, instant messaging and so on.In terms of memory and talktime features, the Apple iphone is simply amazing. It comes with built-in 8 GB memory and 16 GB flash memory. The various talktimes delivered by this gorgeous handset are 5 hour of 3G talktime, 10 hours of 2G talktime, 5 hours 3G Internet use, 7 Hours video playback time, 24 hours music playback time and 300 hours standby time. As opposed to this, the N96 offers the users 16GB memory and one can expand the memory by using MicroSD card. Furthermore, the mobile comes with 128 MB RAM and 256 MB system memory. The gadget offer you 3 hours of talktime and 220 hours standby time.The connectivity technologies supported by iPhone include 3G HSDPA, Bluetooth, USB, EDGE and WiFi. The N96 also supports similar technologies like 3G HSDPA, Bluetooth with A2DP, USB, EDGE and WLAN Wi-Fi UPnP. The sound features of both the gadgets are mind blowing. The 3G Apple iPhone has an iPod music player in which you can create your own playlists. One can also perform the touchscreen search on this gadget and you can also pause the playing song by pause feature.The Nokia N96 has a music player supporting MP3, AAC formats and this gadget also comes with Nokia Internet Radio, Stereo FM Radio with RDS and visual radio features. This handset supports MP3 and Polyphonic types of ringtones.So, one can see how difficult is to judge one handset from the other. They give you excellent features and these high quality mobile phones will surely satisfy all your requirements.